attached. It was the MegaBus. There was a lot of good and a lot of bad about this thing. And it has implications for airlines. I had to get down from Chicago to Indianapolis, so I perused my options. I was hoping to use a friend’s buddy pass to fly United on the short hop, but with the weather rolling in and the flights filling up, I thought it better to change course. I looked at the train, and man, was it cheap. I could take a ride for only $19, but the train goes once a day and takes over 5 hours, getting in at midnight. That wasn’t going to fly with the in-laws. I looked at Greyhound, but then someone suggested I look at MegaBus. I forgot they went out of Chicago, but when I looked, I saw they fan out all over the Midwest from there. I decided to go for it. My bus would leave at 6p and arrive a mere 3 hours and 15 minutes later. This seemed like the way to go. I booked my ticket online and the system gave me a reservation number which I would give to the driver. It said to be at the bus stop 15 minutes before departure. In Chicago, it said the bus left from Union Station. If I needed to make a change, there was in fact a fee . . . $1. Nice. I arrived at the massive Union Station looking for any sign of MegaBus and I couldn’t find one. I asked one person who told me to go upstairs. Then another person said to go outside and turn left. After wandering around aimlessly, the third person I asked told me the stop was a block south of the station, where I could see others lined up. The stop was nothing but a sign and empty sidewalk. I sat down and did some work online while waiting for the bus to show. One bus came and picked people up for Iowa City, but the rest of us just sat there waiting. Six o’clock came and went and there was no bus. In the meantime, an army of panhandlers walked back and forth begging us for change, unused bus transfers, bus passes, you name it. Even when I was on the phone, these guys would interrupt my conversation, and it was incredibly frustrating. By 630p, I was getting annoyed. I had signed up for text message alerts but I hadn’t received anything about a delay. I called MegaBus reservations and they said they didn’t know anything but they gave me the number for a different customer service line. I called that and sat on hold. that the bus was only two blocks away. It was still no excuse for not providing that information more easily. While this was all going on, a group of very drunk Cubs fans showed up and started asking everyone where they were going to sit. I just hoped to be able to sit nowhere near them. I solidified that thought when they ran to the corner drug store to pick up some more alcohol. So our motley crew of about 30 or so boarded the bus and gave our reservation numbers to the driver. The bus was a double-decker and the drunkards went upstairs, so I stayed on the bottom. I was pleasantly surprised. cup holders. Wanting to do work, I sat in one of those areas and had another person sitting on the other side. The seats were comfortable and the bus had 110V power throughout. There was also wifi, but it was incredibly spotty so I just used my Verizon card instead. Things started off rough . . . literally. That road getting out of Chicago is brutal and we were bouncing around enough that I couldn’t do any work. I had to wait until we reached Indiana for things to smooth out. But from there, it was smooth sailing. The downstairs clientele was a good one – they were quiet. The guy across from me was from the UK and was here touring around baseball parks. The guy across was traveling for work. I don’t know about anyone else because they were either asleep or working. We pulled in to Indy exactly when we were told and that was it. It was a nice ride. So what does this mean for the airlines? Well, short haul routes can easily be served with a bus or train, but a bus requires a lot less investment. The product onboard this new generation of buses is quite nice, and it might be something that airlines would want to consider as a partner in the future. Multi-modal is the cool thing to do, after all. More train stations at airports. That’s the way to go. Airlines in Europe coordinate with trains all the time. On a related note, anyone know why Continental cancelled their Amtrak partnership? I totally agree. And by “at airport” I mean “in airport”. Here in North Texas we have great plans to extend light rail and commuter rail to area airports, but the plans all seem to involve rail stations some distance away from the actual terminals, requiring a transfer to a shuttle to actually get to the terminals. It is such a contrast in thinking to Europe where there is frequently a rail station right in the basement of the terminal. It is almost as if they are intentionally planning to fail. I believe in many cases local ground transport companies put up a fight. Like the green line in L.A. terminating a mile from LAX. Taxis, limos, shuttles and others stand to lose tons of money if you can walk from terminal exit to train or light rail in a few steps. Chicago, NYC airports, Amsterdam and Munich have all thrilled me in that I can jump from plane to train in minutes, at a reasonable cost. Having to drag luggage in and out of cumbersome shuttle buses trundling around congested terminal roadways, just to reach a station, is miserable and puts off many. There are light-rail stations *in* both terminals in MSP. (OK, the one at the much-smaller Terminal 2 is a short walk through a parking garage, but the main terminal’s station is inside the airport). You’re right– it does make a huge difference. That’s the only way to go when connecting public transport/trains to airports. AMS is amazing that way, and of course we’re talking long-distance trains in that case, not local. AMS’s station is local, and serves the city center every 20 minutes I believe. It also serves as a large long distance stations for trains between Rotterdam and other points to the south. SeaTac airport just got a light rail station at the airport that currently goes downtown. Well it’s got a ramp via the parking garage to the terminal. But it’s on airport grounds. megabus making HUGE inroads in the eastern seaboard short haul routes from WAS-PHL-NYC-BOS. when i make the drive from DC to LI, i pass at least 10-12 megabuses in either direction in a four hour period. on a related note, isn’t it unreal / pathetic that there is only ONE amtrak train option from CHI-IND per day? at least we have frequent, albeit frequently prohibitively expensive, amtrak service in this corridor. the bus services are making headway here on price, in the midwest on availability and price. The current Chicago-Indianapolis train service is part of the long-distance Cardinal, which runs Chicago-Indy-Cincinatti-Charlottesville-DC-NY. I’ve ridden it once Chicago-Charlottesville. It’s well timed for getting from Indy to Chicago for a day or weekend trip and a ton of people got on and off for that trip — enough that Amtrak adds an extra car or two in Indy. (IIRC, the Cardinal runs 3x weekly for the whole route but daily Chicago-Indy.) It’s not well timed for getting from Chicago to Indy. The stimulus-funded Midwest rail initiative is building high speed rail for many 200-500 mile trips from Chicago (the kind of trip that rail is ideal for), which will make the frequencies enough to be competitive. Can’t remember if Chicago-Indy made the cut for the first round of funding. I should amend this to say that “high speed” means initially 90 mph, then 120 mph. That’s probably a good trade-off between speed and cost for the markets and number of stops, but not European or Japanese true high speed rail. I recently had an LAX-SAN flight canceled on a 40-seat CRJ and at first was perturbed when the airline put me on a bus. They had to gather everyone up, get to the bag claim, and wait at the curb. However, my angst quickly evaporated after a bit of time on the bus. It was bigger; no one was next to me in my seat; and I had data coverage on my cell phone the whole way and was able to work. It only took 30 min. longer than the flight, and with the delay of finding the bus, resulted in a 1 hr late arrival. Aside from the sketchy bathroom and delays in retrieving luggage, I thought. Can’t I make the connection this way all the time? Now, the fact that the airline canceled my return ticket for not completing my itinerary, that’s another story…. The flight from LA to San Diego is 20 minutes at most while the bus will take you 2 hours at the very best. Usually traffic will make that much longer. Amtrak goes between LA and SD! Wow, I hate it when buses are just 5 minutes late, I would be close to tears if I had to wait more than half an hour. Wow, you must be very young as you have not experienced life much – waiting a half hour is not long – as you grow older and mature more, you’ll realize these things happen, this is LIFE and the world does not revolve around YOUR schedule. Ah, Stealth Cranky–getting in and out of Dodge before his legions of Chicago-area readers could demand a meet n’ greet. What a shame. Sorry guys. I have a lot of trouble in Chicago since I used to live there and have a lot of people I want to see when I go (which is rarely). Next time I’ll be sure to do a get together. Now Cranky just think of it wasn’t a double deck bus and those drunken cubs fans were sitting all around you. That would have been a long 3hrs and 15mins. But Americas used to travel Greyhound and Trailways all over the USA and that was whole middle class families going on a family vacation. Now with air travel the way it is and long lines at security check points, it may be faster to travel by a bus for short hauls. This could really catch on (again) as a way to travel and get to where you are going faster, less stressed, and with more money in your wallet. I took a Megabus from Minneapolis to Chicago about three-and-a-half years ago, and I’m glad they upgraded their product since then. The double deckers are a nice touch. I’m not going to slam them, since I think we need more bus and train service in this country– I’m just going to say, I’m glad they’re constantly improving their product. Now they can work on improving their signage. My cousin in Chicago has used the Megabus to get home to MN for holidays and such. For under $100 (often about $50) she can get home with a fraction of the cost of airfare. Granted, it’s an 8 hour trip (one way), but if you’re broke and/or have the time it’s a far more comfortable way to go. And avoiding ORD during the busy Christmas season is never a bad thing to do. I’m a fan of having a French style TGV train network in the US linking cities that are 500 miles apart or less. Jet airplanes make sense for long distances, but routes like Chicago to Indy?! That’s perfect distance for a high speed train, and if you electrify the route you don’t have to burn middle eastern crude in a diesel engine. Expect to see more successful Megabus-type service, as the airlines continue to cut service and nickle & dime their customers. Besides, on the bus there’s no security theater, yet. Cranky, if you don’t mind, can you say someting about the lavatory on the bus? When I lived in the Northeast I took Peter Pan and Greyhound quite regularly, but at some point I switched to riding Amtrak because I could no longer stand the stench of the chemical lav: after getting off a 3-hour bus ride I’d have to immediately shower and put all my clothes in the wash. When traveling on Amtrak I still needed to take Peter Pan for short hops around Springfield, and the smell of chemicals was perceptible on my clothes even after just 20 minutes on the bus (sitting in the front!). The chemical lav is one major factor that makes intercity bus travel unpleasant — I wonder if there has been improvement in this area. I hate to take Cranky’s thunder, but Megabus does have flush toilets a la an Airplane lavatory. Same goes for Megabus’s big rival in the Northeast (and soon Midwest), Greyhound/Peter Pan-owned Boltbus and, I’m to assume as they were built to the same specs as Boltbus’s coaches, Greyhound’s newest coaches. Peter Pan used to have some kind of chemical flushing, but no running water to wash your hands. With airplanes and trains it’s also not just water and soap — occasionally something leaks and a rail car turns chemical (NJ Transit is particularly prone to this problem). But with Peter Pan and Greyhound the bus *always* smelled chemical, every trip, even at the very front of the bus. I didn’t use the lav, so I’ll just take Jason’s word. It didn’t smell on the bus. You made a huuuugggge upgrade from the Greyhound, that’s for sure! One of the major shortcomings of the U.S. transportation system is its lack of multi-modal and intermodal options. It’s something we really should take a long hard look at. Since WWII, we’ve probably over invested in highways and airports (Ike hated railroads) and under invested in rail options. Because of this, we have a lot of catching up to do vis-a-vis Europe or Japan in the high speed rail arena. That doesn’t mean that we should just imprudently throw money into enhanced rail service but I do believe that well thought out investment in high speed rail in high density travel corridors (supplemented by connecting private bus and public transit services) may be warranted. Long hauls could be done by air, with connecting service to the final destination by rail and / or bus. (Example: Chicago to Phoenix by air; to Tucson by rail (there are railroad tracks close to Sky Harbor) and on to Tombstone, Benson, Yuma, etc. by bus with rental cars available as well). Just my two cents worth; and you didn’t have to pay the two cents either. Don’t forget, you gat what you pay for. I recently booked four of my colleagues on a Mega-Bus type service from Singapore to Kuala Lumpur. For $40 – we got a hot meal, a steward, and business-class airline seats on a double decker bus that only seated 16 passengers. Downtown to downtown, the time was only 30 minutes longer than flying. (Clearing customs at the boarder with 4 bags was a bit inconvenient). Imagine if you could have that kind of reliable coach experience between New York and DC! I’d pay triple the Megabus price to have extra room and a comfortable seat… as long as I didn’t have to stand in the rain to catch a late bus! Great info and story. Only wish Brett would have said what the ticket cost him. That would be good info to know. Geez, how did I forget that!? It was $29 plus a $.50 booking fee. If I could have gone earlier in the day, fares were as low as $5. I agree with Zach.. the next time you come through Chicago, please let us all know. I know many of us here in Chicago would enjoy meeting you… especially if you were hanging around Union Station! I think you probably have most of our e-mails so you could just send out a broadcast. Good trip report on Megabus! I haven’t taken Amtrak or US/DL on WAS-NYC in 3 or 4 years now for no more than $21-$22 each way. BoltBus is great. No problems. Ever. 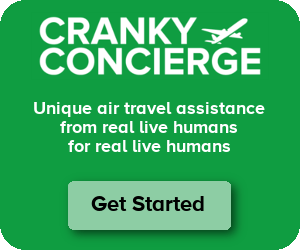 I have tried to contact airlines about doing this, but it seems that you have to divert money from their pockets before they catch on. I’m a big fan of the new bus lines (BoltBus, Megabus) on high density short hauls. While trains are nice and fast and fun and I love a good high speed ride, they’re pricey. In places without a lot of money sloshing around like Mexico and Argentina, intercity buses are frequent, inexpensive, and comfortable if you pay up for the nicer services. Some in Argentina and Chile have lie flat seating sections for their overnight long hauls. It’s not fast compared to air and rail, but it’s fast enough at freeway speed and great stuff on a budget. In the US, my 2 BoltBus experiences have been good, and 1 Megabus less good but then I got an old contracted bus for a short haul rather than the fancy new double decker stuff. 2 to 5 hour rides seems like the sweet spot for these providers. As you discovered, CHI-Indy is not currently a robust Amtrak corridor (although there are quite a few out of CHI, and many have very affordable and plush Business Class sections with 2-1 seating). Amtrak is wise to price the CHI-Indy market so cheaply given the crappy service there. A bus “requires a lot less investment” by the operator because its infrastructure costs are externalized by being foisted onto taxpayers. Tolls aside, your cheap ticket was made possible by the people of Chicago, Indianapolis, Illinois, Indiana, and the US who funded the sidewalks, curbs, streets, and freeways you used. It’s not necessarily a bad thing, just the truth. Amtrak either maintains its own tracks (in the Northeast and in Michigan) or pays access fees to the private freight railroads who dumped passenger trains in 1971. There is no common public rail network like in Europe. Some freight lines do receive state and federal capital grants to support incrementally more and faster passenger trains, but Amtrak still pays the full operating costs for each train operated. They manage a farebox recovery ratio of 67-80%, depending on how you look at it (the rest being covered by about $500m in federal operating support annually, plus certain states funding corridor frequencies). In the end, when you internalize all costs, all modes of passenger transportation would be inherently unprofitable, at least without charging very high fares. But that’s okay, since a robust society and competitive economy necessitate a healthy range of affordable transportation choices. My first choice on short trips will always be the train, given the personal space and amenities and usually surpass that of most buses. I’m not sure how fair it is to say that all of their costs are externalized. They do pay for fuel and registering the buses for interstate travel, which is where we get our road funding from. But they definitely don’t pay for the station upkeep, and this is probably why they’d not want to go into an airport, as the buses at those locations have to pay something to use the facility. The Highway Trust Fund is flat broke. The federal gas tax has remained unchanged since 1993. Thus, receipts have not kept pace with demand for transportation investments or even kept up with inflation. Since 2008, Congress has had the general Treasury fund (i.e. you and I) bail it out to the tune of $29.5 billion (Google highway trust fund bailout 2008 [then 2009 and 2010]). So no, gas taxes do not amount to full user fees, nor do they account for the lost productivity of congestion, nor the health and social ills of pollution. I sit corrected. They should pay for this via higher gas taxes. But that is extremely politically untenable.. which is sad. I’ve used Megabus to get to mileage runs starting in IND, MSP, and STL, and its sister company Wisconsin Coach to get from ORD-MKE many times. The key drawbacks for me are the sometimes unpredictable departures (although they’ve always made up any delays en route) and the poorly signed, outdoors pickup locations. It’s frequent, convenient, cheap, and has nice seats, but hardly compares to South American bus services — comfortable Argentine sleeper coaches or impeccably efficient Chilean interurbans. @Sanjeev: Nothing’s changed about the CO-Amtrak codeshare/mileage relationship. Europe is much smaller than America, gas is expensive. I can fly anywhere faster than a train. It takes 9 hours to get from Houston to New Orlenas. I can drive it cheaper and fly faster. I frequently visit Atlanta, 3 to 4 times a year, and usually stay at a hotel in the Buckhead neighborhood. The MARTA station is a comfortable one or two block walk, or right across the street from the hotels at which I normally stay . Leaving the airport baggage claim it’s a very short walk and an elevator ride that takes me to a train for which I must 12 to 18 minutes which affords me a very comfortable ride to the hotels. It costs $2.50 one way. It’s only competition, in my book is the train from Central Station to Schiphol in Amsterdam. Houston has a long way to go to make the light rail effective. ATL traffic is so bad, I would take MARTA. The first part of MARTA isn’t great, but at least ATL has built around it. There really is nothing around the Houston light rail and our large airport is too far away to make it effective, but it could work to Hobby Airport, although most people can still drive to it quicker, but at least you wouldn’t have to pay for parking. Great article on MegaBus in April 11, 2011 Business Week. They are very likely to expand service to many more cities. Re: trains at airports, at least here in Portland the local light-rail, Max, actually goes into the main terminal every 15 minutes or so. I wish MegaBus would come to Atlanta. Currently, I don’t think they do. They kind of stop in NC or SC. If Hartsfield is any indication (one of the most traveled airports in the world) – bringing the MegaBus here would probably expose the company to a huge market. Guaranteed, if they were to come to ATL, I’d use them to go to NC and DC maybe twice or thrice a month! They do have a megabus in Atlanta. Is there anyone got the compensation for the loss of luggage when using megabus? I JUST HAD MY FIRST ROUNDTRIP RIDE ON THE MEGABUS AND IT WAS GREAT MY DRIVER ROBERT ON THE JULY 31 TRIP FROM NEW ORLEANS TO HOUSTON WAS HELPFUL IN MAKING SURE WE HAD SEATS IN THE LOWER SECTION DESIGN FOR THE DISABLED, THE ATMOSPHERE WAS QUIET AND PLEASANT I WANT TO THANK ROBERT FOR A PLEASANT TRIP. I MAY NOT RIDE WITH HIM AGAIN BUT IT WAS THE 4:45PM BUS FROM NEW ORLEANS ARRIVING HOUSTON AT 11:45PM #16501605. I LOVE THE MEGA BUS DEFINITELY PLANNING ON BEING A FREQUENT RIDER. Is it possable to get a building for SHELTER. GrayHound or Trailway was always relaxed INSIDE. Road the Megabus from Charlotte to Atlanta on Good Friday! The trip was very comfortable and pleasant. However as we were entering into the metro Atlanta area we had a unforeseen experience. Somehow a tire was thrown into the HOV lane and the bus had no other choice but to run over the tire, due to all the lane was full with traffic. By surprise the tire rolled under the bus which cause an malfunction for the bus driver to continue the ride. The bus driver was DeWayne Mister, I must say an excellent driver. He quickly pulled the bus over in a professional matter to assure everyone was safe. He really was a Megabus Hero. We had to wait for another bus to come carry us to our final desination. The bus driver put our safety first. Mr. Mister is a great bus driver and I recommend anyone to ride the Megabus. I think that if you are flying over 600 miles or so a plane is the way to go. But i took amtrak from kc to chicago, it was over 12 hours, but i enjoyed it. amtrak provides you with a cafe car, reclining chairs, power outlets, and on there newer cars, wifi! it was one of the most fun 12 hours of my life, along with the ride back. It took 12 hours because we had to wait 2-3 hours for another train jn st louis because we transfered, i you were wondering what took so long. but i plan on trying megabus soon. Jordan, when in Europe we use trains and buses as much as possible. Just as you say, the newer equipment is great. Comfortable, all the amenities, and on longer trips it does take longer than flying, however, you don’t have to loose time getting to the airport 2 hours or more early, commute to the airport, fight traffic only to get stuck paying a growing list of those greedy fees, not to mention the frequent fare increases on fewer flights on smaller aircraft with smaller seating room. The airline industry doesn’t stop putting obstacles to the flying public. Time to look for alternative ways to travel – when possible. I have used some buses here in the states which are a far cry from the old Greyhounds or Continental buses of my youth. Unfortunately, until California completes the new Rapid Speed Train, which will better unite the state, real and convenient train travel will have to wait. Same for the Western part of the U.S.
Congratulations in your discovery of a more civilized way to travel – AND being able to enjoy it. Rode Megabus Cleveland to Atlanta over a two day period. Toilets have such low water pressure you can only flush number “one.” Bus driver on first leg of the trip did not announce that toilet paper cannot be flushed down the toilet. There needs to be a more user-friendly way of disposing of toilet paper than in an open receptacle for everyone to see. Bus quiet, except for guy behind me talking in a foreign language on a cell phone for 30 minutes. But the ear plugs came in handy. Unbelievable that a main MARTA station in Atlanta does not have an indoor, temperature-controlled place to wait for rides. At 5:40 am in mid-January, temp was about 9 degrees with the wind chill. I would consider using Megabus for short trips, but not overnight. Wish I could give it negative 5 stars. Booked a roundtrip from Reno to Sacramento a month ago. Two weeks ago I got an email stating my trip to Sac had been cancelled, but if I clicked on a link I could reschedule at no cost, which I did. Schedule had only CHANGED – by 20 minutes. Not sure why “cancelled”?? Today I get email saying trip from Sac to Reno is “cancelled” and to follow links. No links provided. Took over an hour to find a phone # to call, finally reached very rude customer service who said the refund had been processed (and would take 14 days to get to me) and I would HAVE TO just re-book – so nooooo, I don’t HAVE to do anything – cancel the whole trip. Again, the trip wasn’t cancelled, just the TIME changed by 20 minutes!! They refused to cancel the other leg, and won’t refund me for the booking fee. They also REFUSED to allow me to speak with a Supervisor! This is THEIR fault, and it is costing me?? I think not. Do not use these crooks!!!!! I have disputed the charge on my credit card and filed BBB and DOT complaints. Megabus ripped me off and I put in a complaint to BBB NEW JERSEY. Megabus said they would not provide a refund but I pushed them and got it. Frankly had they not have I would have taken them to small claims court. Take your complaint to the BBB, good luck!